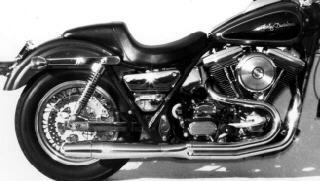 FXR model years 1987-1994 with Center Contols. Re-jet carburetor as necessary. Increased horsepower & unmistakable THUNDERHEADER™ sound. Fits models with stock center pegs.